If you don’t believe me, I have a few other dishes to share with you that are sure to persuade you beyond any shadow of a doubt. 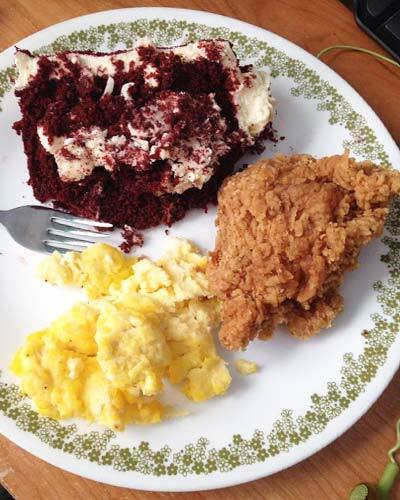 First, we have a three-course meal fit for a king: chilled eggs of the scrambled variety (which, in some cases, is more desirable than those served hot) to start; then, for the entree, a sizable chicken breast straight from the KFC leftovers in the fridge; finally, to top it all off, a fresh and hearty slice of red velvet cake. I’m not drooling you’re drooling. If that wasn’t already amazing enough, the schedule of the college student was taken into consideration when preparing this feast: to ensure maximum satisfaction, everything is served all at once so nobody would be late to class. Talk about going the extra mile. Still not convinced? Okay, but, I will warn you, this next one is absolute culinary perfection. In a show of goodwill, I will divulge the secret of this dish so you can enjoy it for yourself. After all, what good is it mastering a skill if you can’t pass it on for others? 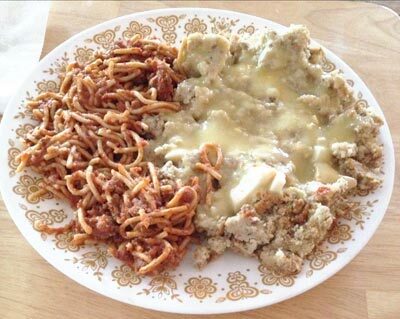 First, start with a half portion of spaghetti and then add a similar portion of Thanksgiving dressing (not stuffing, there is a massive difference) and mix. Adjust the ratio of spaghetti and dressing as necessary. 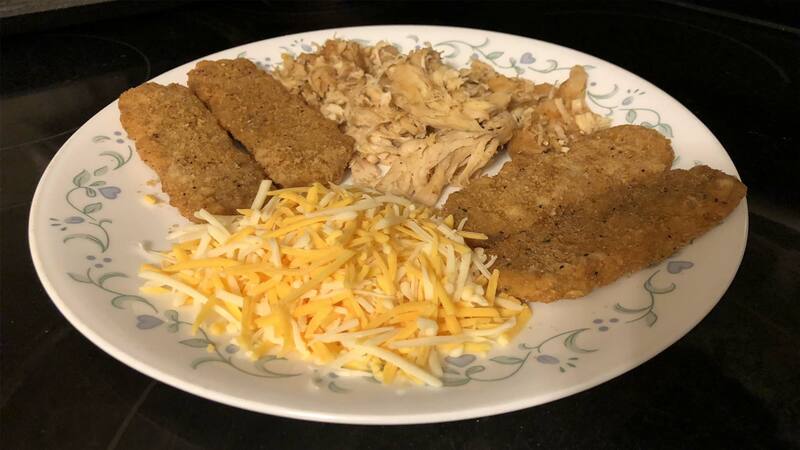 This entry was posted in Food and tagged college, food by Joseph. Bookmark the permalink.